According to the USDA, half of every meal you eat should be made up of fruits and vegetables. However, many families have a difficult time easily accessing fresh fruits and vegetables. Freestore Foodbank is working to change this. Produce Pop Ups brings a variety fresh fruits and vegetables, along with the option to add other items such as bread, to communities in need. 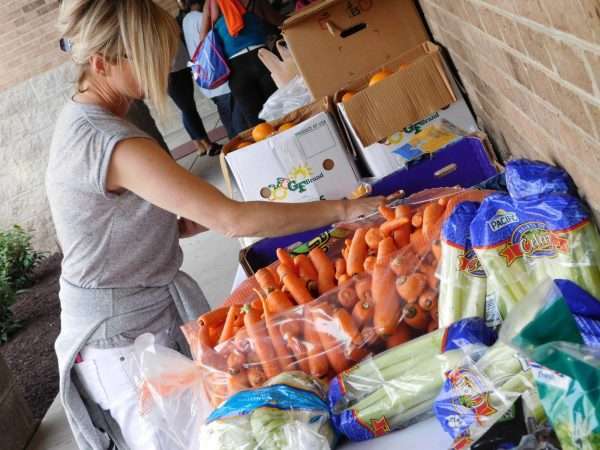 These free of charge, 1 day “Pop Ups” provide valuable access to fresh items and can be hosted by community organizations, churches and/or schools. Please use the contact form to send us your information, and we will respond as soon as possible. If you need immediate attention, please contact Erin Wyder at 513-482-7095 or email ewyder@freestorefoodbank.org for more information!